March 28 at 7:15 a.m.
Dec. 23, 2010 at 10:42 a.m.
Blu-ray is emerging as a holiday hero for Hollywood as the film industry grapples with the rise of digital video and a persistent slump in its most profitable source of revenue — DVD sales. 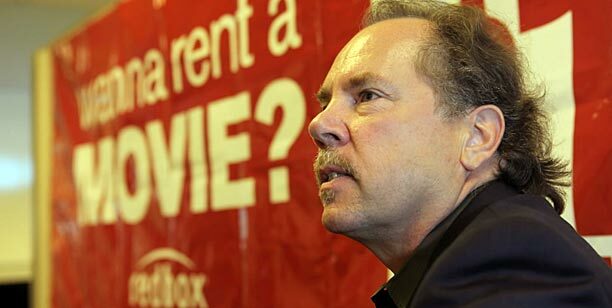 Sep. 16, 2010 at 11:36 a.m.
Redbox is hoping more people will grab a movie at the convenience store, along with that lottery ticket. Aug. 18, 2010 at 11:37 a.m.
Unite Here, the hotel workers union, is planning a public screening Wednesday of “Show Us the Tax Breaks” – a short film that attacks Chicago’s Pritzker family and their decision to close East Chicago’s Union Tank Car plant in 2008. The plant was one of the largest employers in East Chicago and when it closed, hundreds of workers were left unemployed. Aug. 13, 2010 at 5:17 p.m.
July 19, 2010 at 7:28 a.m.
July 2, 2010 at 6:59 a.m.
June 22, 2010 at 8:15 a.m.